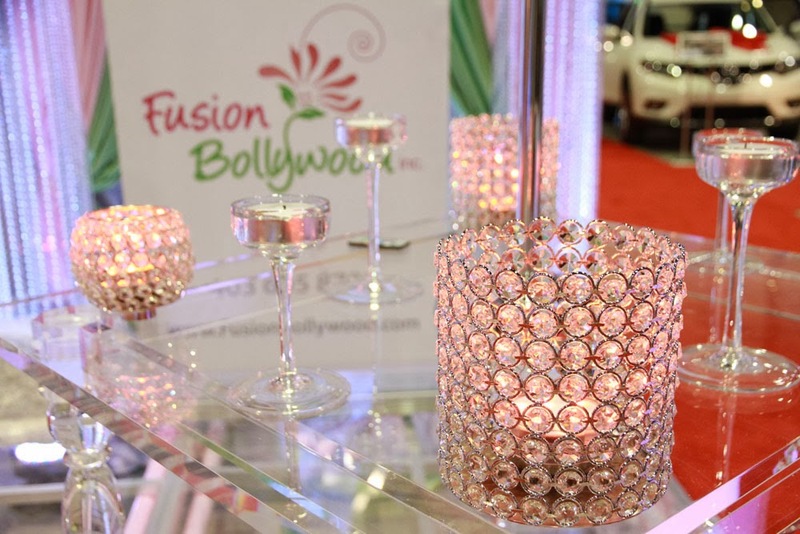 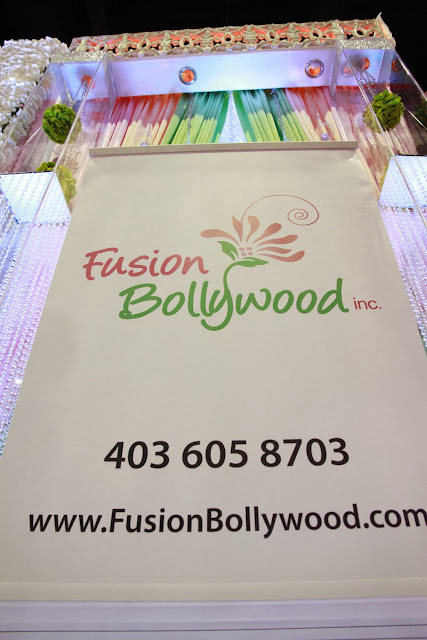 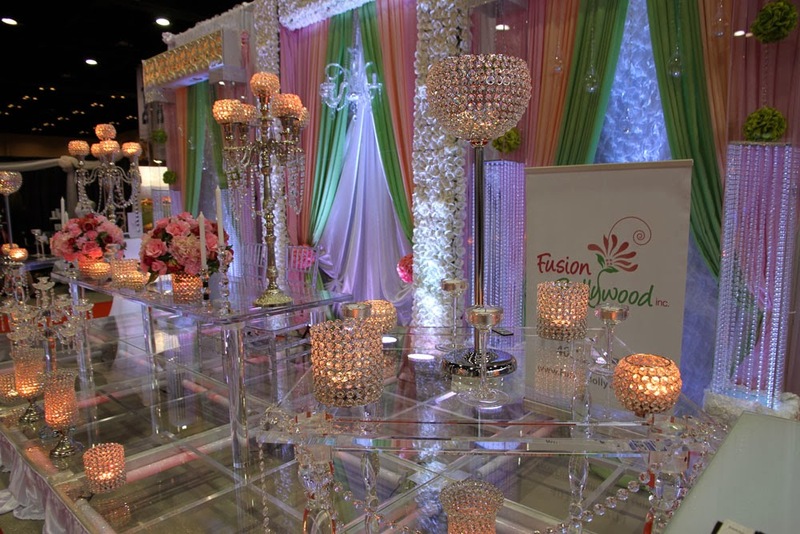 Fusion Bollywood has the privilege of participating in Bridal Fantasy show once again at the Telus Convention Center in Calgary , Alberta on Jan 12 2014 . 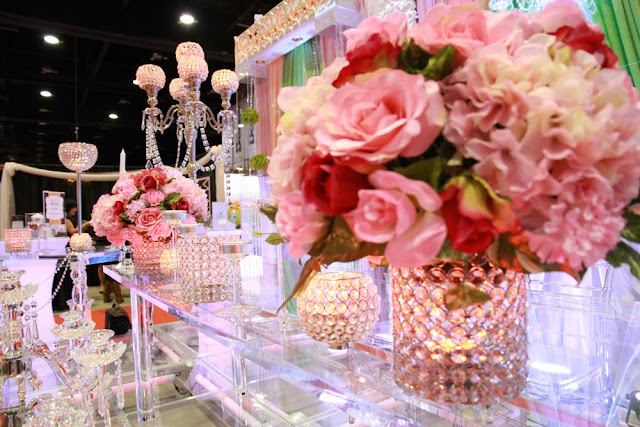 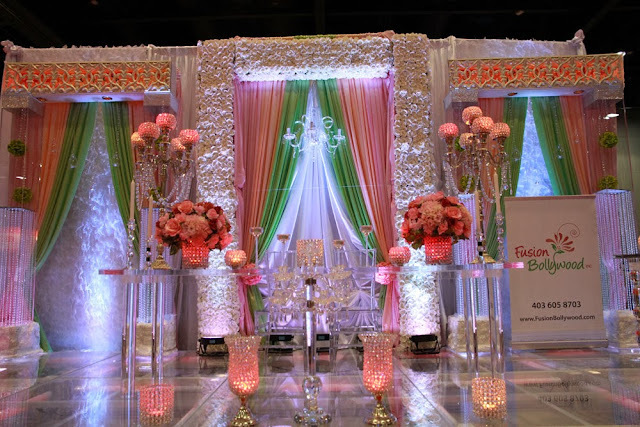 Our vision to create crystal paradise , Our Color pallet were pink, a touch of Peach & mint green .It look so beautiful, we received compliments all throughout the day from visiting brides . 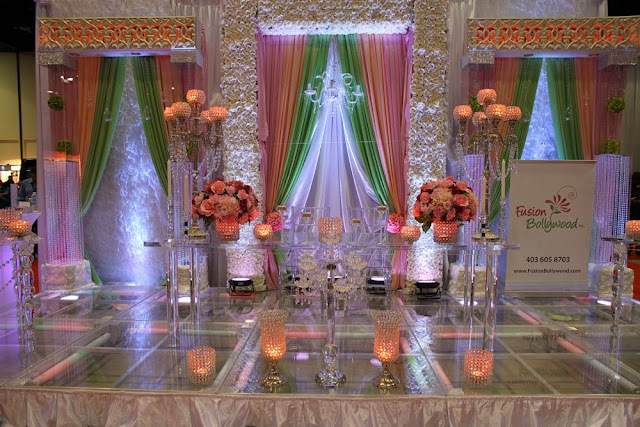 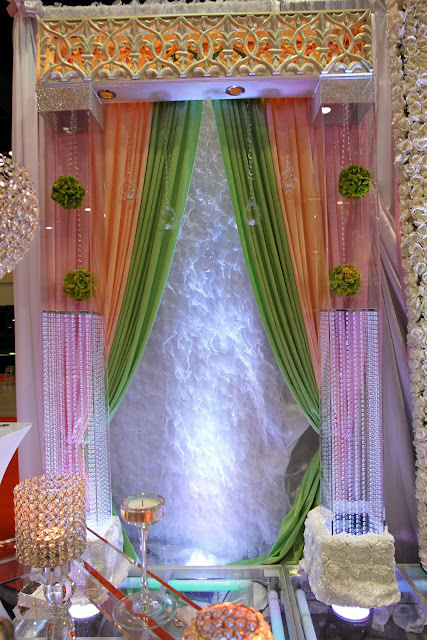 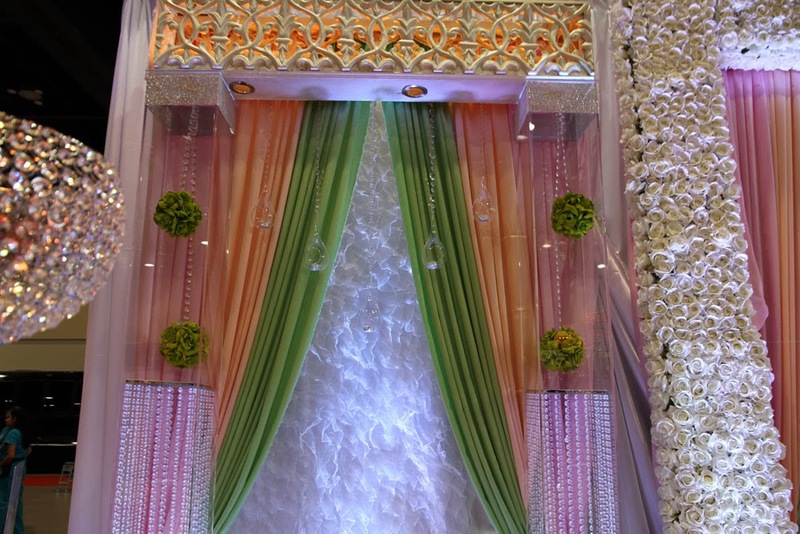 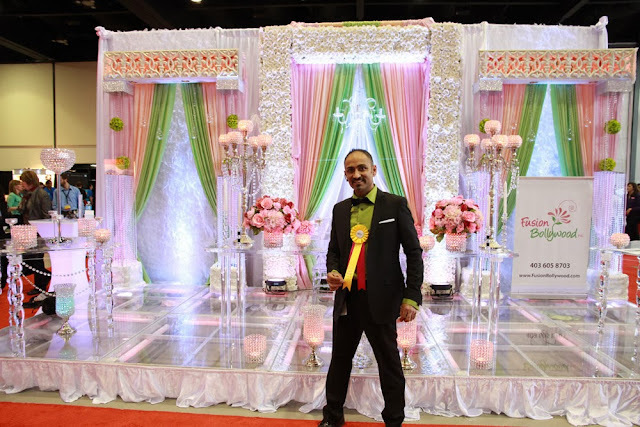 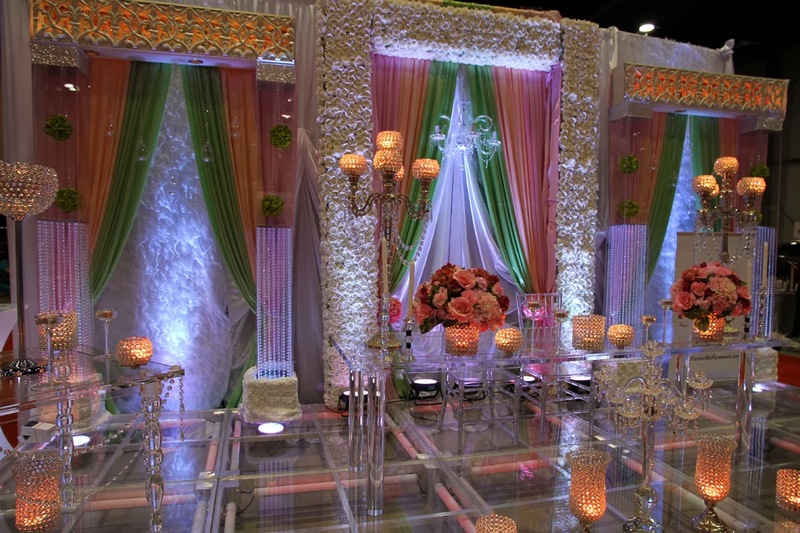 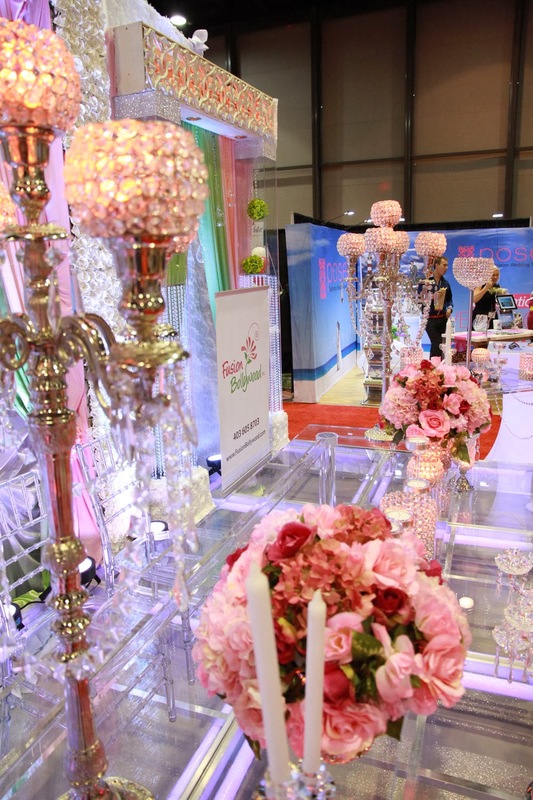 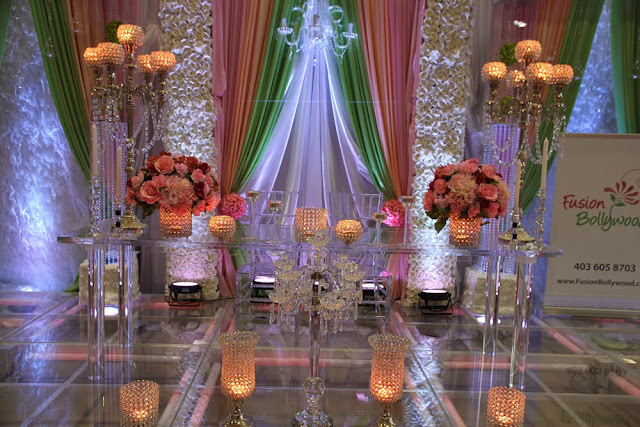 The acrylic furniture, acrylic stage , acrylic columns & flowers in backdrop was a key element to the design of the booth, as we wanted couples to feel welcomed to get inspired for their wedding with us. All the details of our booth were to assist in creating a vision for new clients and show our clients how we represent ourselves as a brand. 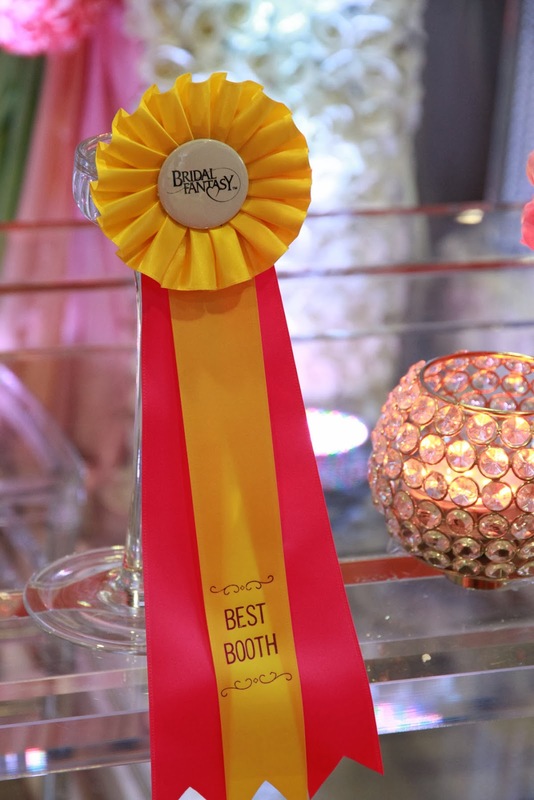 On top of that we were awarded the BEST BOOTH AT THE SHOW. Here are the photos below. Enjoy!